As you’ve read…SPOILER ALERT — DON’T READ IF YOU HAVEN’T READ THE ENTIRE COMIC….WARNING YOU….STOP! YOU’LL BE MAD….REALLY….YOU’LL FEEL CHEATED LIKE I DID WHEN I READ IN “ENTERTAINMENT WEEKLY” THEY KILLED OFF SHANE IN “WALKING DEAD.” BELIEVE ME, “ET” WARNED ME AND I READ IT ANYWAY. SERIOUSLY…..QUIT READING THIS POST IF YOU HAVEN’T READ THE ENTIRE ISSUE!!.…. Okay, now that we’re on the same page here, I hope that you’re satisfied that Edgar Bigbooté got what was coming to him. Myra did rough him up a bit. Did you think that Hubert really understood that taking on another secret identity was more trouble than it was worth? I think Aunt Mamie could have been more harsh. She probably should have banned him from using her computer. AAAY! 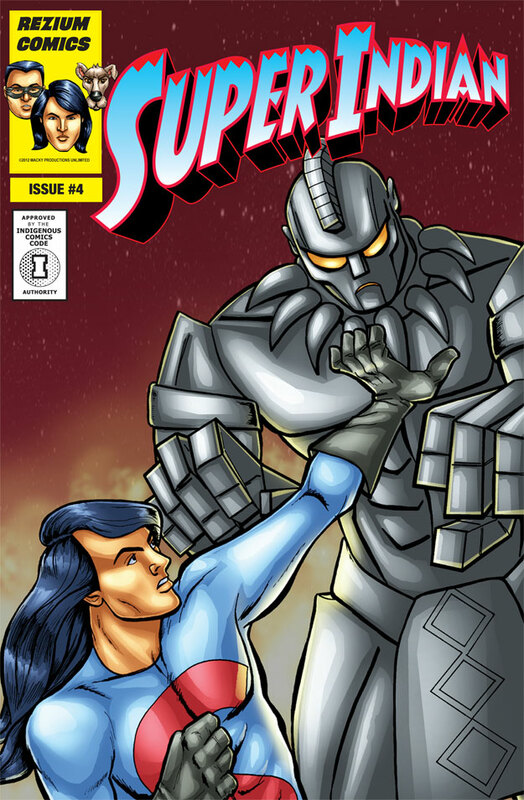 We are upping the stakes with the next issue and introducing you to two popular characters from the “Super Indian” radio series…Derek Thunder and his giant metallic robot Technoskin. That doesn’t mean you’re not getting NEW content. We’ll be featuring a two-part “Kyle” story arc. We think you’ll enjoy meeting Kyle’s new friend, Pablo. Here’s the visual inspiration for Pablo, the late, great Jake E. Jake. If you were a visitor to the earlier incarnation of Rezium Studios, Jake would greet you at the door and find a spot on your lap, your newspaper, anything to get your attention. Full of love, Jake is the polar opposite of Pablo in temperament. 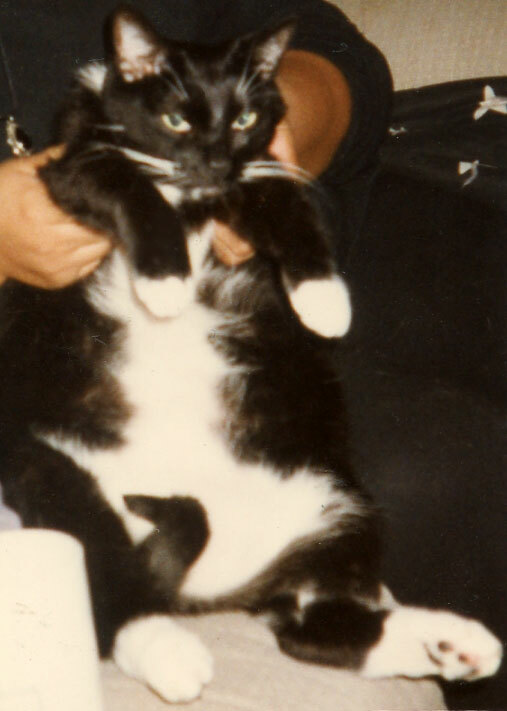 I think most people have come across a “Pablo” type cat in their lives.